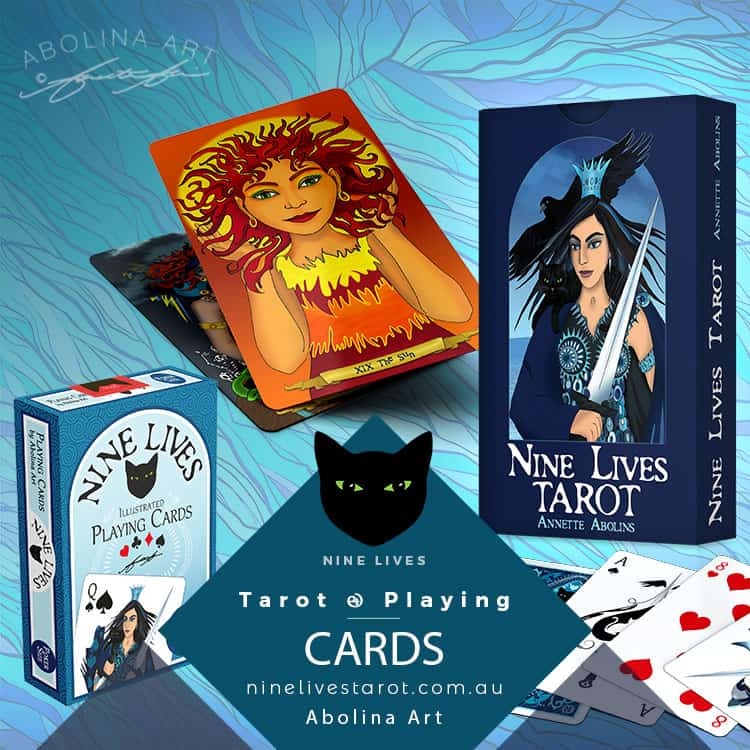 Nine Lives Tarot & Playing Cards | https://ninelivestarot.com.au (‘the Site) is operated and owned by Abolina Art (ABN 88 872 263 943). Your access to and use of the Site is conditional on acceptance of these Website Terms. Please read them carefully before using the Site. The purpose of the Site is to provide information about Tarot and Playing Cards designed by Abolina Art (Annette Abolins) and to facilitate sales of the products on offer. You agree to ‘play nice’ and use this site in accordance with all applicable local, state, national and international laws, rules and regulations. You are responsible for maintaining the confidentiality and security of any passwords and/or account login information for the Site. You agree to notify the site administrator (Abolina Art) immediately of any unauthorised use of your account information. 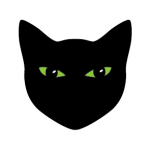 Nine Lives Tarot & Playing Cards reserves the right to deny you access to, or use of, all or part of the Site, without prior notice, if you engage in any conduct that violates these Website Terms or is otherwise inappropriate for continued access and use of the Site. Unless otherwise stated, all artwork, images, design layouts and text content on the Site are the intellectual property of the artist: Annette Abolins (Abolina Art | Nine Lives Tarot & Playing Cards) and copyright protected by law – all rights reserved. Any use, redistribution or reproduction of part or all of the contents in any form, without seeking written permission to do so, is considered an infringement of these copyrights. Any personal-use sharing of content from the Site, must include proper credit to the artist, Annette Abolins (Abolina Art) and a link to the Site: https://ninelivestarot.com.au as the source of the material. If you wish to use any material on the site for commercial use, you must first must obtain written agreement from the site owner (Abolina Art). Redistribute content from the site (unless content is specifically made for redistribution). I would love to send every deck by magic carpet. However, this may prove tricky, as my skills at operating the carpet are what the pros would refer to as: “a complete novice, unlikely to improve in the near future”. Great care is taken to ensure your order arrives safely; along with secure wrapping and packaging before lodging over the counter with Australia Post. When you place an order on the Site, you are responsible for providing correct address details for shipping purposes. 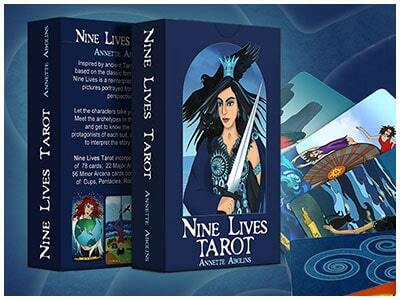 Nine Lives Tarot & Playing Cards cannot be held responsible for shipping delays arising from incomplete or incorrect address information being provided. Estimated delivery times vary depending on where you live and the shipping method you select. Extended delivery times may occur during holiday season, so please be patient. If your order hasn’t arrived after 3 weeks, please contact me and I will do what I can to help you locate it. Nine Lives Tarot & Playing Cards are unable to accept responsibility for the delivery of orders shipped with Standard Domestic Post or Economy Air International. By choosing either of these delivery methods you are accepting all responsibility should your parcel get lost. However, in the unlikely event that your order doesn’t arrive, please contact me and I will do what I can to help you locate it. Please note that import duties, taxes, and charges are not included in the item price or shipping cost. These charges are the buyer’s responsibility. It is unlikely that cards would incur additional charges, however, I cannot guarantee this as countries have different regulations. If you are unsure, please check with your local customs office. 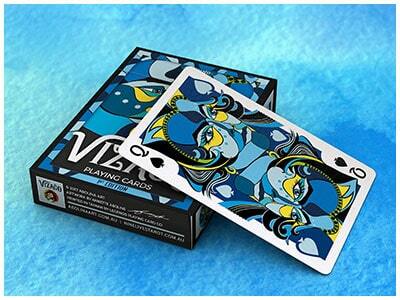 Naturally, your Tarot deck or Playing Cards should arrive in perfect condition. If your deck for some reason takes a detour across the globe and arrives at your destination in a damaged state, please contact me straight away and I will provide you with instructions for replacement. 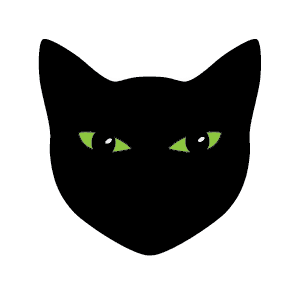 Your cat completed the order for you while you were sleeping … Despite your cat being very clever, you unfortunately need to cancel the order, or you won’t have enough money left to buy (cat)food: Oh, what to do …? Don’t worry, I completely understand: Simply contact me straight away, and I will cancel the order and arrange a full refund. If your order has already been shipped, you may choose to return the package in its original condition (unopened) and I will provide you with instructions for return and refund, please note that you will be responsible for the cost of returning the item. Unfortunately, Nine Lives Tarot & Playing Cards cannot accept returns for a deck which has been opened and handled, as it can no longer be considered new. To avoid any disappointment, please make sure you read the description and view card images of decks, available on the Site, before making your purchase. If you wish to return an unopened deck in original condition, please contact me within 14 days of receiving your order and I will provide you with instructions for return and refund, please note that you will be responsible for the cost of returning the item. The Site may contain hyperlinks to sites operated by third parties (including social media sites). Access to Linked Sites is provided for convenience only and you are responsible for deciding whether you want to use a linked site. You access these sites and use or buy their products and services solely at your own risk. Nothing in these Website Terms excludes any rights you have under the Australian Consumer Law in respect of the Site. Subject to the previous sentence, you acknowledge that your use of the Site is entirely at your own risk, provided without warranty, either express or implied.